ObjectMaster is a Plugin for Unity3D - If you would prefer to view and purchase through the Unity Asset Store, you can do so here. *Requires Unity 4.6.0 or higher. A must have for any Unity Level Designer. 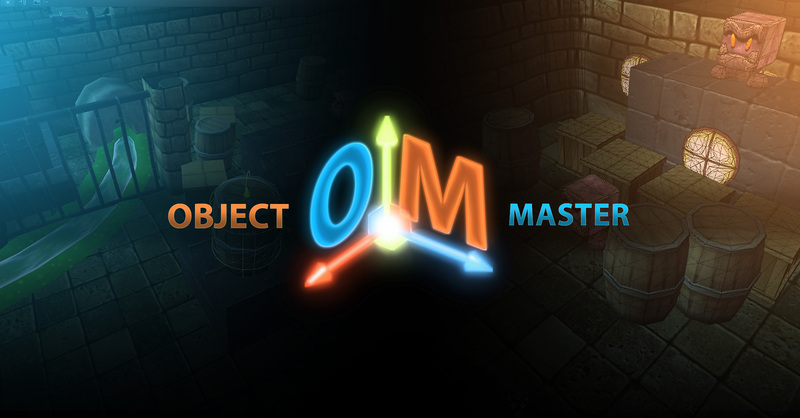 ObjectMaster is a set of tools that allow you to do more with objects. You'll be amazed how much faster everyday tasks become. It's a lightweight plugin that plays nice with other plugins and toolkits and creates no dependencies. •Group and Unparent objects with one click. •Drop objects to the ground in one click. •Bring an object into the middle of your viewport window in a click. •Zero transform position and/or rotation in one click. •Scatter multiple objects throughout your scene to quickly populate props. •Find and Replace GameObject names in your scene. •Replace objects that match a name or tag with a prefab.